I received an interesting e-mail the other week from Dr. Gilli Shama, a professor at the Holon Institute of Technology in Israel. She told me that she's teaching a graduate studies seminar on synchronous e-Learning. For the uninitiated, synchronous e-Learning is real-time, interactive learning over the Internet. Webinars and online lectures are examples of this. But recently, Dr. Shama took this in a new dimension. She gave her students the assignment to present on the topic of 3-D synchronous e-Learning. During their research, the students found ProtoSphere, and conducted their entire lesson from the environment. Naturally, I wanted to learn more. I reached out to the student who led the project, Yael Ofir. She sent me an e-mail describing the project, why they decided to use ProtoSphere to hold their lesson, how the lesson went, and their overall feedback of the experience. I grabbed this screen shot of the meeting room they used in ProtoSphere. Here's the initial e-mail Dr. Shama sent me, and the follow-up e-mail from Yael. I'm posting them here, so you can get their story first hand. 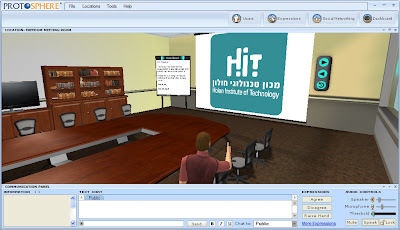 I'm a professor of a seminar on Synchronous eLearning in HIT college in Israel. 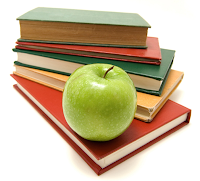 The course is part of graduate studies in technologies for learning. We are using AT&T Connect for most of our lessons. Last week we had a lesson on 3D solutions which Yael and her team members delivered excellent in ProtoSphere. Thank you very much for using ProtoSphere. Hi Domenick, thanks for approaching us! I passed your contact details to our professor. This course is about Synchronous Learning in general and it's being held as a part of our BA studies in Learning Technologies. 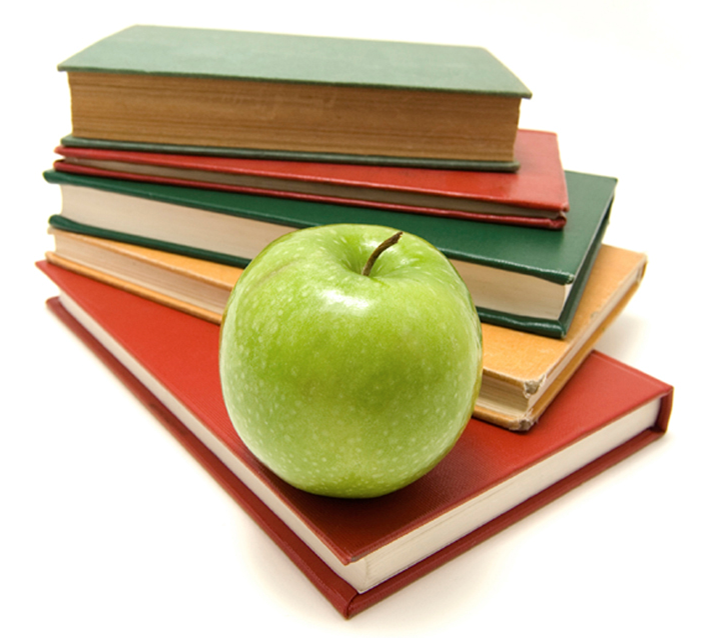 Each week, a team of students needs to teach the class about a different aspect of this type of learning. Our group's assignment was to present the topic of 3D Synchronous Learning. During our research of the topic, we came across references to your product, mainly in the works of Karl Kapp. We checked the trial version and thought it would be very interesting to conduct our entire lesson from within the environment. New reports are coming out on the effects of the recession on pharmaceuticals and biotech. And for a change, things aren't looking so grim. The world’s established biotech companies reached profitability for the first time in history in 2009, according to Ernst and Young's Beyond borders: global biotechnology report 2010. However, companies continue to face a challenging funding climate, causing them to operate under what E&Y calls a "new normal." More analysis is in Ernst and Young's press release announcing the report findings, and one point in particular stood out for me. "The biggest opportunities in this new normal will come from increasing efficiency: more efficient ways to fund innovation and achieve returns for investors, better outcomes for every dollar of health care spending, and more efficient R&D and operations at drug companies," states the release. Maureen Martino also picked up on this point in her coverage of the report on FierceBiotech. I'd encourage you to give her article a read. In my opinion though, some biotechs began operating under this new normal before 2009. As I wrote in the comments on Maureen's article, some of them were using ProtoSphere to create high-performance virtual workplaces for global teaming. These companies saw the trend to increase efficiency coming long before the economy flopped. We were already working together to get them communicating and collaborating in ProtoSphere to improve the productivity of their dispersed workforces. Today, biotech, pharma, and other life sciences companies alike are investing more in virtual collaboration. Ernst and Young's report gives us an international view of the biotech industry. But it's also worthwhile to look at regional trends. 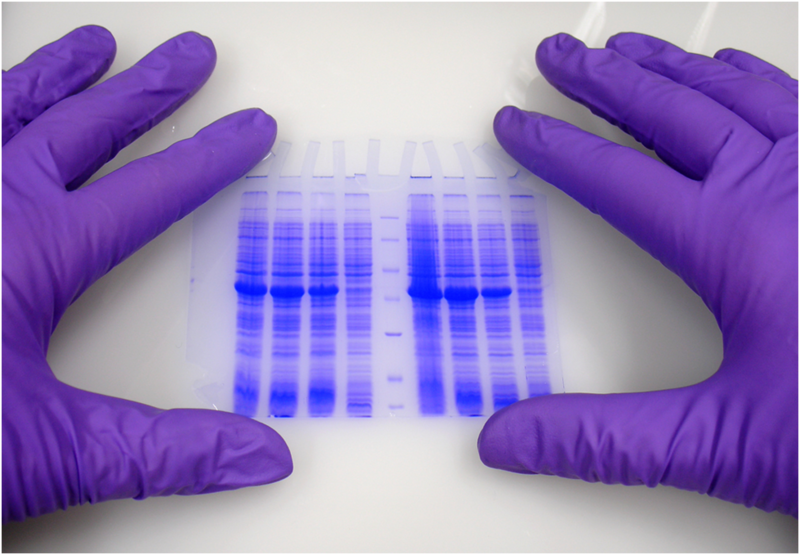 Medical News Today published a good roundup of how the recession is affecting biotechs across the nation, looking at regions such as Illinois, Florida, and California. There are some solid stats in there about jobs and growth. By and large, the numbers are showing increases in employment in most areas. However, one thing these companies shouldn't lose sight of is how to ensure their new and growing workforce is efficient and productive. I explained this more in a comment on the article, but the gist is this: To really cut the cost of global collaboration, you've got to cut the cost of travel without cutting the ability to speed collaborative decision-making throughout the product lifecycle. That requires virtual collaborative workplaces. This is the impetus behind our new partnership with RWD. So give Medical News Today's article a read-through, and then take a look at my thoughts. What's your opinion? For those of you in biotech and pharma, is your workforce growing? Are you putting plans in place to ensure teams can cost-effectively communicate and collaborate? ProtonMedia's Executive Advisory Board is continuing to grow at a healthy clip. I'm very proud to announce that Cindy Skirvin is our latest member. She's the Partner of Strategy and Transformation Workforce and Talent Solutions for IBM Global Business Services. She joins Cisco’s Greg Pelton and Microsoft’s Sam Batterman around our advisory board table. Cindy's sweet spot is deploying and running human capital management and corporate training and learning programs in life sciences. She's spent about 15 years consulting to organizations including Merck, Pfizer, Amgen, Abbott, and Johnson & Johnson. Having her on our board is an ideal fit for us, as we continue to develop ProtoSphere to meet the human capital management needs of life sciences companies. If you're looking for more details on Cindy's background and what she'll be bringing to the table, take a peek at the press release we issued to announce Cindy's joining. We're also working on interviewing our new board members in turn, so watch the blog for that. Welcome to the team, Cindy! LANSDALE, Pa.--(BUSINESS WIRE)--ProtonMedia, the developer of the ProtoSphere virtual collaboration environment for the high-performance workplace, today announced Cindy Skirvin has joined the company’s Executive Advisory Board. Skirvin is Partner of Strategy and Transformation Workforce and Talent Solutions for IBM Global Business Services. If you're a regular reader of this blog, you know Dr. Karl Kapp and I are close buds. And as close buds are known to do, we like to have a good time. And the thing about it is, sometimes out of silliness comes creativity and different perspectives on things. That's one aspect I like about Karl. He sparks new ideas in me. The ASTD 2010 conference was no different. We filmed a short video capturing our fun and experiences at the show. Maybe in future posts I'll share some of the other ideas that came out the conference. I wanted to share a couple mentions we've gotten lately in the media. 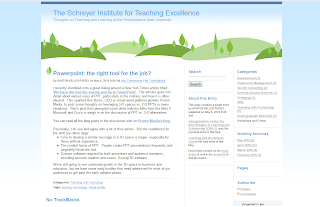 The Schreyer Institute for Teaching Excellence added its thoughts to my "This is your brain on PowerPoint" post. There are some interesting food-for-thought bullets there that I'd encourage you to read over. 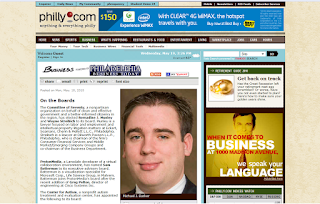 And Philly.com included Sam Batterman joining our Executive Advisory Board in its "On the Boards" roundup. Thanks for featuring us! Ok, waiting time's over. I mentioned earlier today that we'd have some big news coming at you from the ASTD 2010 Conference in Chicago, so without further ado, here it is: ProtonMedia and RWD have partnered to develop the first 3-D workplace for human capital management. RWD is a leading provider of human and operational performance improvement solutions. Thousands of organizations worldwide use RWD's solutions, including many Fortune 500 companies. They're in industries including life sciences, energy, and manufacturing, among others. We'll be working together to integrate RWD's technology into ProtoSphere. The result will be a high-performance collaborative platform that quickly connects people to their colleagues, and gives them immediate access to the information they need. Our partnership officially kicks off today from the ASTD Conference. RWD is exhibiting at booth #913, and I've joined them to represent ProtonMedia. If you're here at the show and have stopped by the booth, you might have noticed the signage for ProtoSphere. But that's not all we have going on with RWD today. We're also co-exhibiting with RWD at the SAPPHIRE conference in Orlando. If you're unfamiliar with the show, SAPPHIRE is the leading event for SAP customers and partners to meet and learn about new SAP technologies and solutions. RWD is exhibiting at booth #2509, and some folks from the ProtonMedia sales team are on hand to meet, greet, mingle, and share news of our partnership. I'm excited to get things going with RWD, and looking forward to putting the new platform into the hands of employers and their people. If you're interested in more details on our partnership, give our press release a read below. We'll keep you in the loop on our progress! BALTIMORE & LANSDALE, Pa. -- (BUSINESS WIRE) -- RWD Technologies, LLC (RWD), a global company that develops and implements human and organizational performance solutions, and ProtonMedia, the developer of the ProtoSphere virtual collaboration environment for the high-performance workplace, today announced a multi-year partnership that will add a new dimension to workforce learning, collaboration, and performance. 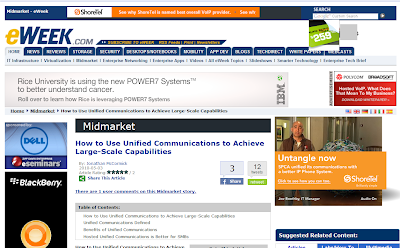 The notion of unified communications has evolved greatly over the past few years. But it seems like many people still think of UC in terms of the turn-of-the-century notion of uniting e-mail, voice, instant messaging, etc. 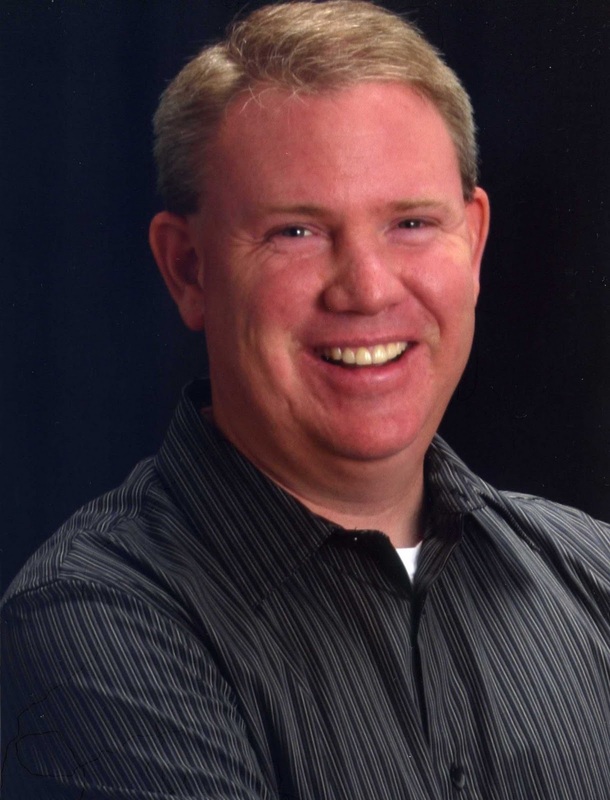 For instance, take this article on eWeek by Jonathan McCormick. It did a nice job of breaking down what UC is and how companies can benefit from it, and it's worth a read. But it stopped short of covering the full scope of unified communications. I'm talking about a completely unified environment: A 3-D virtual workplace that brings together voice, data, social networking, as well as the workplace itself into a single environment where people can communicate and collaborate. I expanded on these thoughts in a comment on the article, and you can click over to pick up where I leave off here. What are your thoughts? What's next for UC? There's a reason life sciences companies are at the forefront of organizations researching next-generation ways to collaborate globally online. They don't have a choice. The major industry consolidation we've seen in recent years is all but over. Companies are discovering that old communication models are inadequate for the new realities of their corporate structure. For instance, e-mails with people BCCed on the threads create compliance challenges. Workers flying from 26 points around the world to converge at one campus for a day-long conference is not cost- or time-effective. And global teams are increasingly hitting the limits of PowerPoint, Excel, and tools such as WebEx as they struggle to contain, conceptualize, and communicate complex information. The 2-D "flatland" model is broken. This is the impetus behind our new partnership with Kaplan EduNeering. If you've spent any time perusing our case studies, looking through our media coverage, or talking to people in life sciences who use ProtoSphere, it's clear we have figured out a practical, yet cutting-edge and cost-effective way to help global companies eliminate barriers of time, distance, and 2-D. But that's not to say we've figured out everything. The Kaplan EduNeering Platform delivers learning management technology across industries, and its award-winning, compliance-based LMS, ComplianceWire, is at the forefront of compliance learning programs for the life sciences industry. We see incredible synergy and benefits for both our customers by pairing ProtoSphere's virtual collaborative workplace technology with ComplianceWire's compliance tracking engine. That's all I'll tell you here. Get the full download by watching the interview between Lisa Clune, President of Kaplan EduNeering, my good friend Dr. Karl Kapp, and myself, taken at Kaplan EduNeering's Knowledge Summit last Thursday. By the way, we also have the transcript of the interview available, if you'd rather read than watch. The video conferencing market grew 30 percent last year, as reported by Sramana Mitra in this recent Forbes article. As regular readers of this blog know, whenever I see news about telepresence, I feel compelled to respond. ;) I shared my views on this in a comment on the article. What do you think? Post your thoughts here, or better yet, over at the Forbes piece. Yesterday I spent some time with my good friend Dr. Tony O'Driscoll, and recorded a quick video of him where he speaks about his recent visit with a group of life science CIOs and the benefits of 3-D collaboration to aid in generative learning. See what he had to say. 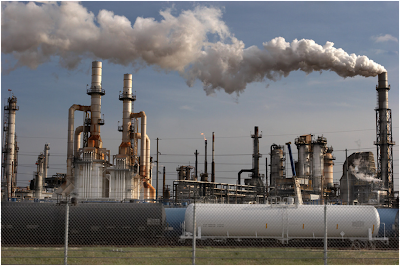 As I zipped between airports on my way to Research Triangle Park this week, burning jet fuel in an oxymoronic quest to tell the world about the benefits of working virtually, scenes of the massive oil spill unfolding in the gulf haunted me on every public TV I passed. I think this event has the potential to be a wake-up call for us in the IT industry, start-up and established players alike. We can't afford to wait for next-generation energy sources to be discovered, developed, and commercialized. That shift from fossil fuels to green energy will take a generation. Meanwhile, we have to conserve energy and protect the planet now. And that means we have to establish the next-generation workplace now -- one that makes good use of virtual collaboration technologies to cut fuel-burning, emissions-belching travel. How much of our business travel is actually necessary? I dare say a small fraction of it, once a virtual workplace is factored into the equation. We need to step up as a society, and show the world it's possible. We need to stop talking about the mobile, high-performance workforce, and start empowering it. And it's not just about flying. It's about driving and railroads, too. We recently had one of our life sciences customers in the Mid-Atlantic area take stock of how much commuting was going on between their New Jersey and Pennsylvania campuses. It wasn't that far, as the crow flies. But multiply that by thousands of employees, thousands round trips per week, tens of thousands of hours of productivity lost, untold gallons to fill 'er up (along with however many tons of carbon emissions), and now we can say, "Houston, we have a problem." Most industries are publicly committed to working virtually, whether they call it telecommuting, the mobile workforce, or virtual workplaces. In meetings with top brass at global companies, I hear time and again that "virtual teaming" is a key strategy of these organizations. But the frustration and disillusionment sets in when people attempt to spend a day on platforms such as WebEx, GoToMeeting, etc. There are two fundamental problems that surface. First there's the notion of spending a day "on" WebEx (or what have you). Whenever you work virtually with a 2-D "flatland" meeting product, you are "on" something but not "in" anything. Second, there's the squishy use of the word "meeting" to describe these tools. In truth, they're not collaboration platforms. They're screen-sharing programs. Big difference. Compare this conceptually to a 3-D workplace powered by ProtoSphere. The team members are invited "in" to their virtual office. It's a place (not a screen) where they can see their coworkers come and go, sit and talk, share ideas, work on documents and projects together, and collectively tap the businesses other IT assets. They can also work with data in 3-D, as visualizations, gaining perspectives and insights that are simply not available in 2-D.
That's not a sales pitch. It's a definition of the gating factors that dampen the adoption of virtual teaming, and a statement of the opportunity we have to overcome these gating factors -- and the opportunity to have a measurable impact on the environment -- by teaming in 3-D.
We can now work with anyone anywhere, without burning fossil fuels, and without losing our humanity in a 2-D flatland screen share. The time is right for bold business leaders to set the pace, and lead by example. We can empower a massive and highly productive remote workforce with a 3-D high-performance workplace like ProtoSphere. And doing so would have a measurable impact on the planet, not to mention the bottom line. Labels: 2-D environments, 3-D, Data visualization, Energy, GoToMeeting, Green, High-performance workplace, In the news, Oil spill, ProtoSphere, Remote working, Travel, Virtual teaming, WebEx, Why 3-D? I've recently joined ProtonMedia's Executive Advisory Board and I couldn't be more thrilled. As a true believer in the power of 3-D environments to enable new collaboration models, I've known ProtonMedia for several years and admired ProtoSphere. However, the market is just now reaching an inflection point where technology and user needs are converging to create the 21st-century workplace. This workplace is not a real place, but a virtual one. It is global, data-rich, interactive, collaborative, and visual. Most important, it is also 3-D.
Ron's posting last week covered one of the most used and abused of all business tools: PowerPoint. In this case, the U.S. Army's strategy in Afghanistan was illustrated by what can only be described as the PowerPoint equivalent of a neural network. I can't fault the author of this chart because we've all faced the same struggle in the past. We have a complex set of information to convey to our audience, and we slice it into 8 1/2-by-11-inch pages. Clicking through them one by one comes about as close to our original intent as the Visible Human Project comes to meeting a real person. We have two objectives when using PowerPoint. One, to convey relevant information, and two, to tell a story so that the audience reaches the desired conclusion. Our charts might capture data as elegantly as Edward Tufte or have the emotional simplicity of Steve Jobs, but we are still fighting a losing battle. The problem is that PowerPoint is trapped in 2-D, while people live life in 3-D. This problem is only exacerbated as we increasingly work in distributed virtual teams, where the nuances of face-to-face discussion are lost. 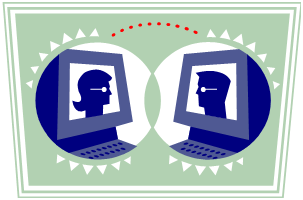 PowerPoint must be viewed passively, without the scowls and hand-waving and laser pointers of the conference room. The solution to the problem can be found in 3-D collaborative environments. A 3-D environment allows complex data to be captured in forms that our brains are already wired to process. Think about viewing a stack of blueprints versus walking around inside a completed building, and you quickly see the difference. 3-D environments also allow storytelling in both a linear and non-linear fashion -- whichever works better for your audience. As an example, consider your last visit to a history museum. It was likely laid out chronologically so that as you progress through the building, you move forward in time. Each time period laid a foundation for the next, and the story unfolded one century at a time. However, if your appetite for history matches many executives' appetite for information, you might have quickly moved on to the gift shop and skipped a few of those historical details. 3-D environments are more than just a replacement for PowerPoint. I believe they are the foundation for the 21st-century workplace, and I'd like to explore some of the reasons right here in future posts. Labels: 2-D environments, 3-D, Collaboration, Greg Pelton, High-performance workplace, PowerPoint, ProtoSphere, Why 3-D?